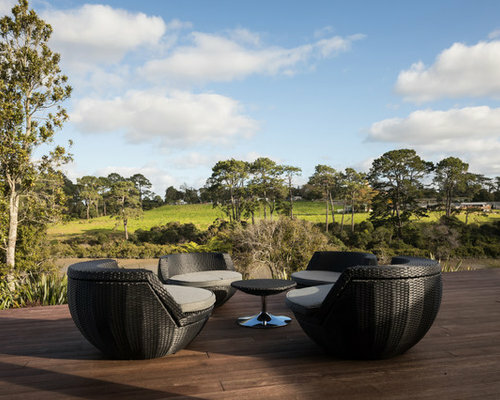 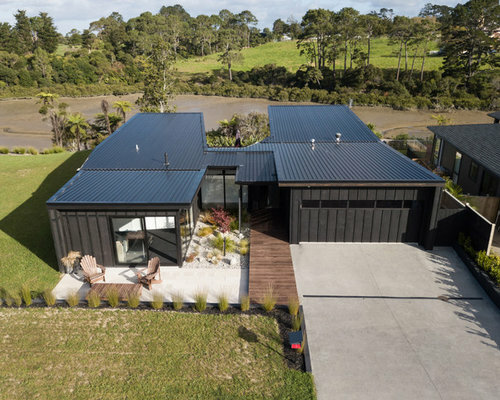 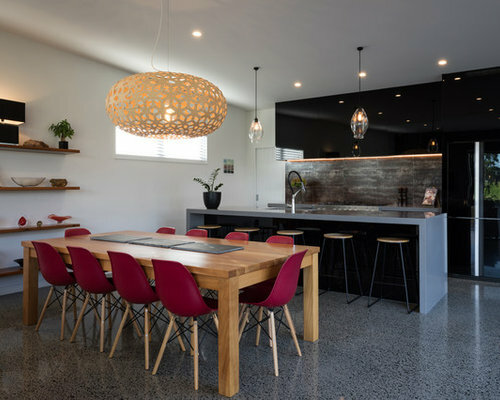 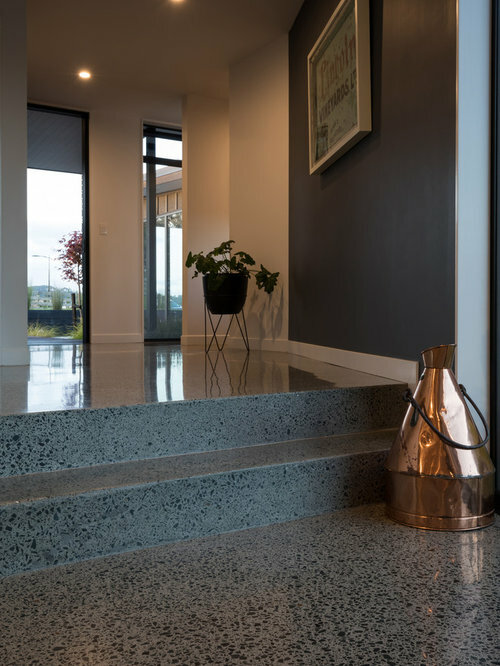 This new home in Riverhead sits on the bank of the Rangitopuni Stream, looking out over the water and native riparian bush. 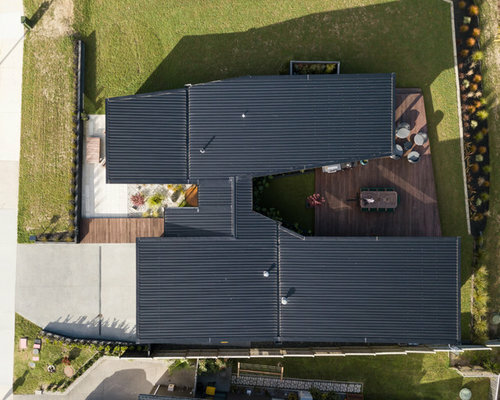 The client’s brief was to build a new three bedroom home on a vacant site, featuring a living wing with a focus on the views across the stream and indoor/outdoor living. 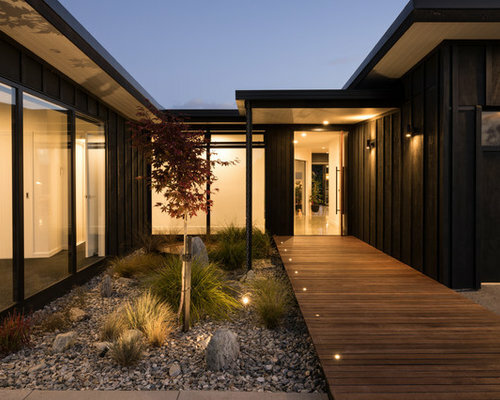 A single storied ‘H’ shaped floor plan was developed around a central courtyard. 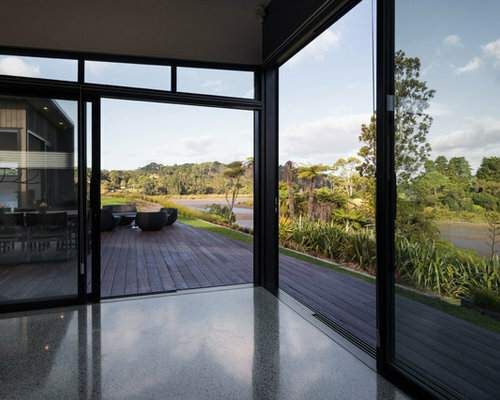 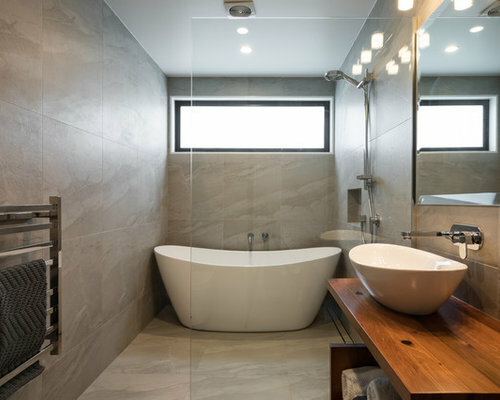 This provides ample opportunity to capture views and light from various internal spaces, while maintaining complete privacy between neighbours. 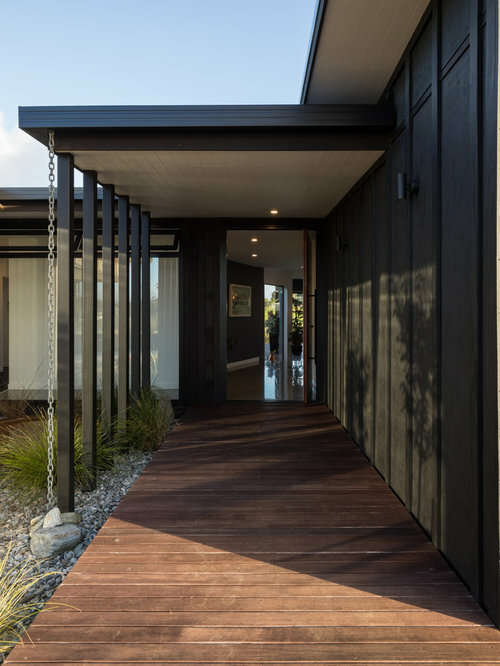 Movement between internal and external living spaces is seamless, with opportunities for outdoor dwelling provided in multiple areas. 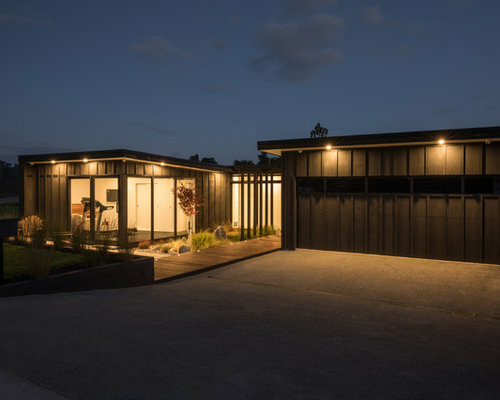 Towards the north, staggered box forms sit low across the site, stepped back and down from street level. 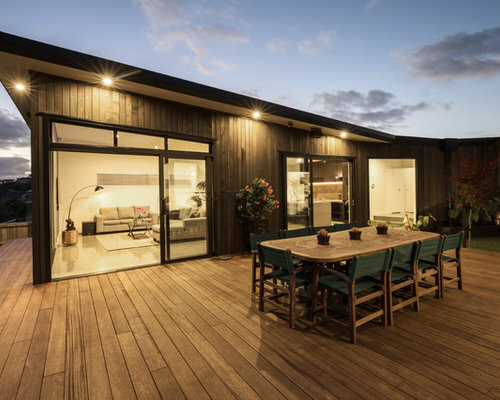 A family room and patio face out to the road, taking advantage of northern light and providing opportunity to connect with the neighbourhood. 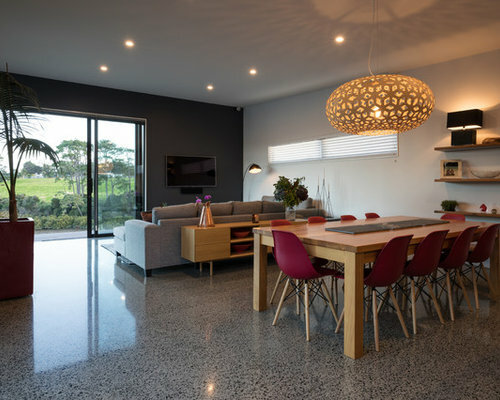 Garage, kitchen, dining and living spaces are grouped within one wing of the home, with bedrooms, bathrooms and family room in the other. 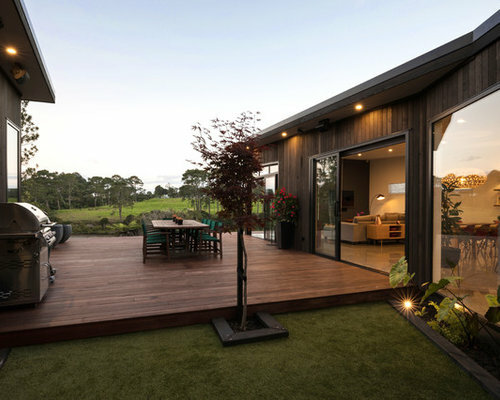 A home office looks directly through the central green ‘courtyard’ to a feature tree, and beyond to the extensive deck which joins the wings together to the south. 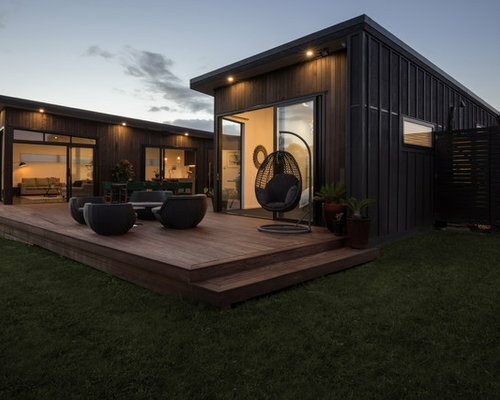 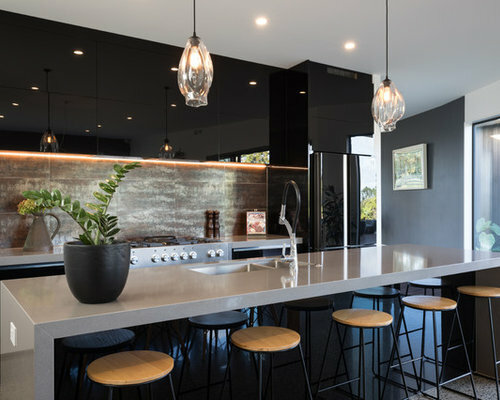 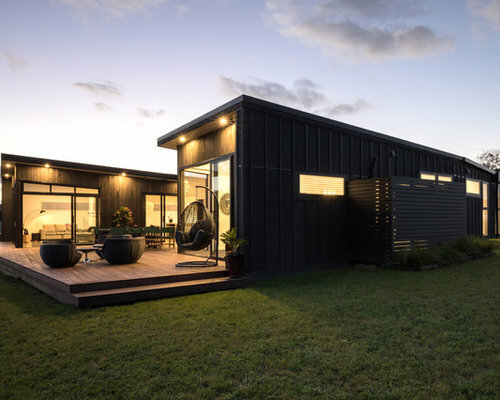 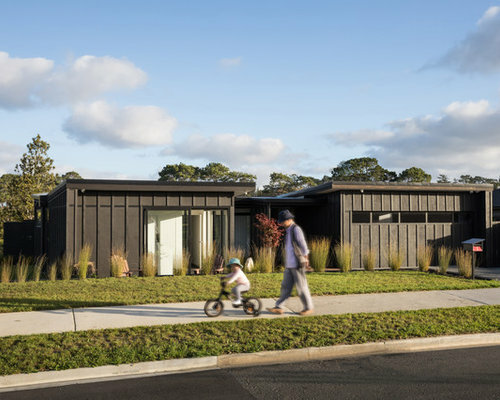 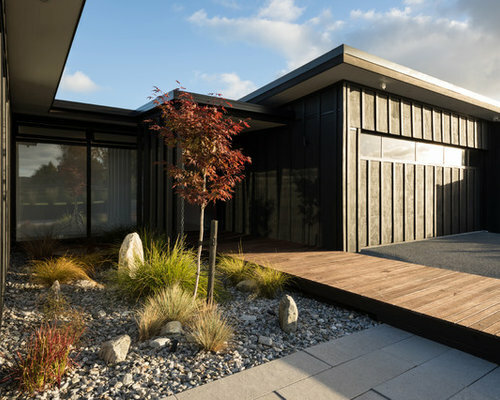 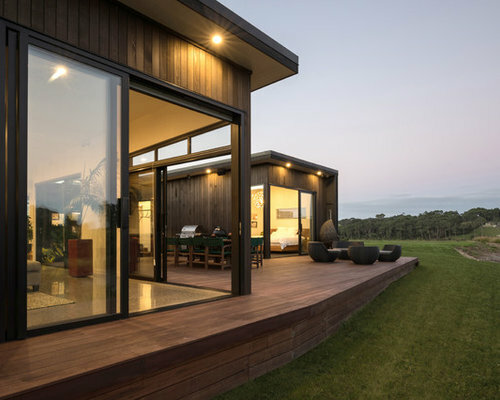 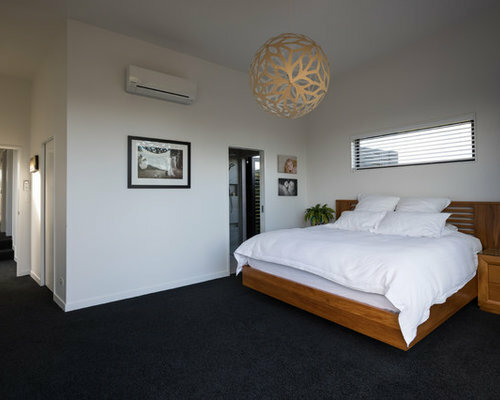 Dark stained board and batten cladding wraps around the home in tandem with black joinery, while vertical cedar shiplap weatherboards line the walls adjacent to the expansive deck.